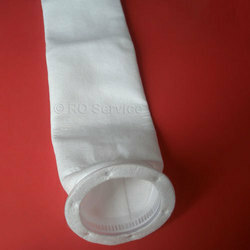 We are a leading Manufacturer of jumbo filter bag from Indore, India. We provide a wide range of Jumbo Bags which is widely used for bulk packaging. Our range is used to meet various industrial demands for residential as well as commercial applications. We offer our products with customization facility to meet specific requirements of our valued clients. Our range is quality tested at all stages of production to ensure flawless range.